How Does Linen Deliver Cool? 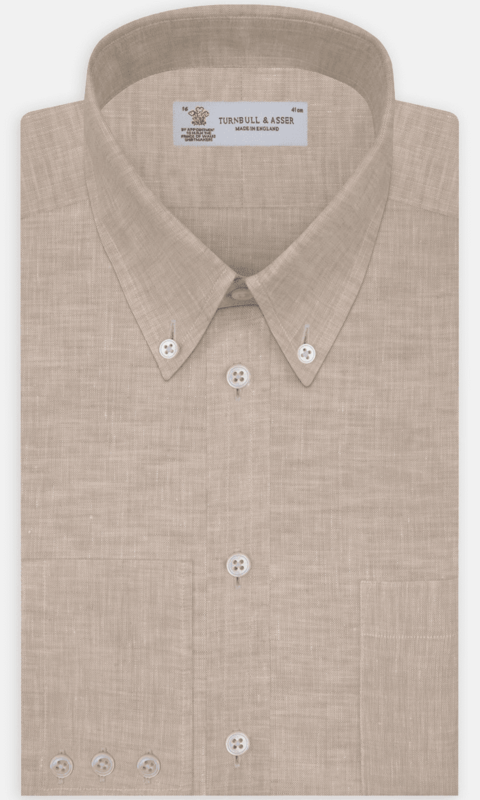 A versatile fabric suited to the summer months and hotter climates; linen allows for cool and comfortable wearing due to its unique heat-retardent properties. 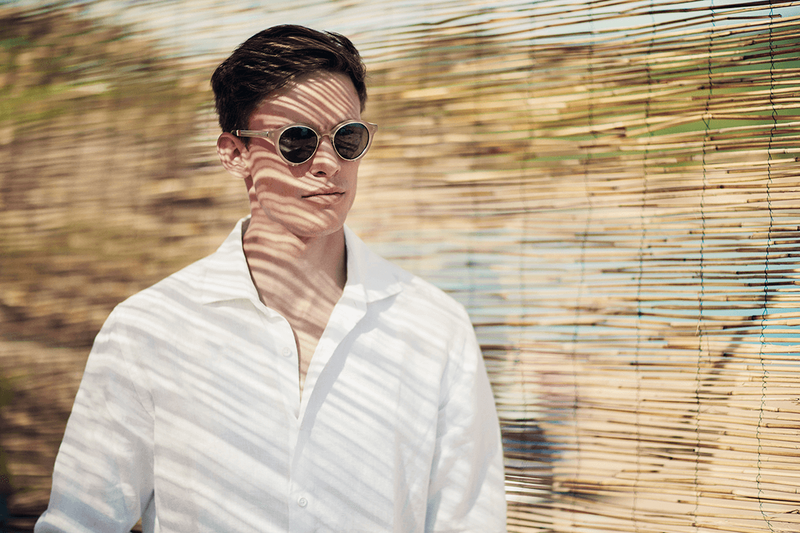 Constructed with a highly-permeable, structural weave and fibre from the flax plant it delivers better airflow by keeping menswear ‘away’ from your skin. And being a ‘stiffer’ fabric means it is less likely to cling to the skin. Thus allowing air to flow through and around the fabric allowing the body to breathe. Also, the fabric is highly absorbent and a good conductor of heat. Meaning heat can easily escape, resulting in clothing being cool to the touch and able to quickly remove perspiration from the skin. In fact, because of its structure it can absorb up to a fifth of its weight before becoming damp or wet. Therefore it can absorb perspiration and not feel unpleasant, whilst also allowing quick evaporation. Some reports have revealed wearing linen can keep you 3-4°C cooler than wearing silk or cotton and 1.5x less likely to perspire. Yes, linen does crease and wrinkle. Is there anything you can do about it? No. It doesn’t matter how careful you are, you’ve just got to learn to embrace the creases. Treat them as charming, worn in, lived in attributes – character. Of course you should leave the house in best-possible, crease and wrinkle free condition. To help tackle the creases before you leave, you can try steaming or starching clothing. However, the better option is to iron when items are a little damp. And remember to use a high steam iron with a water spray mist. 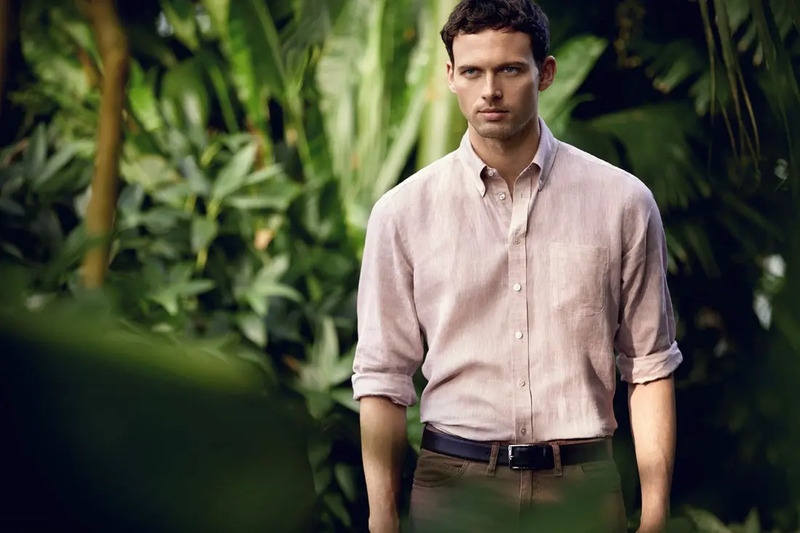 Linen offers a perfect balance between smart and casual, it’s the sensible choice for those wanting to stand out for their sartorial choices in hot climates. Yes, this does mean you can wear trousers and a blazer in the heat, whilst eliminating the risk of being uncomfortable and revealing unsightly sweat patches. Your sartorial choices should be relevant to your lifestyle, holiday and climate. Don’t be afraid to invest in a good linen suit which can compliment your wardrobe. 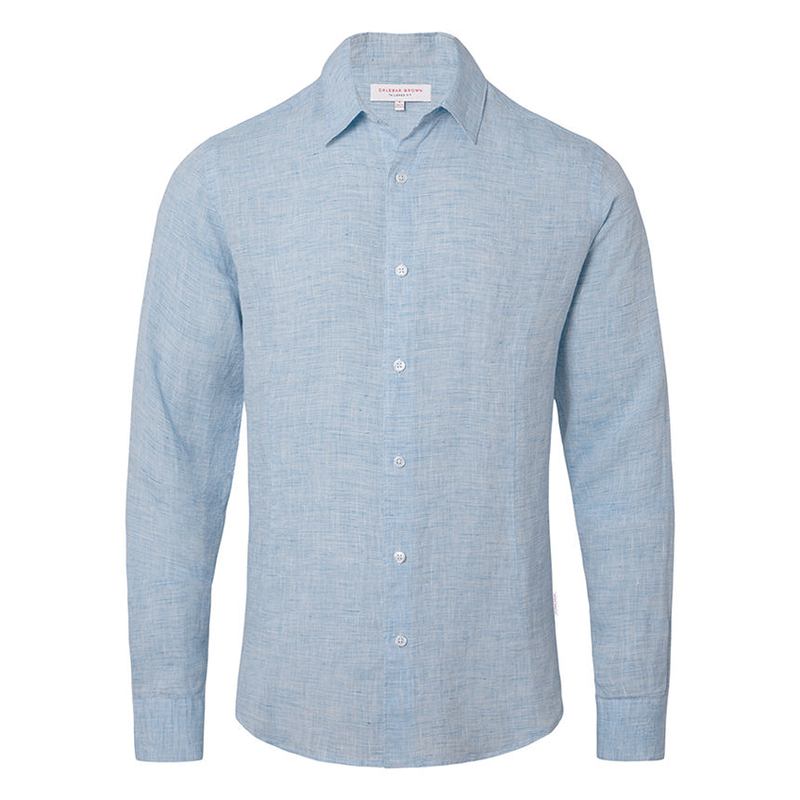 Linen shirts are the easiest to assimilate – merging effortlessly with your established pieces. Wearing a linen suit is light and airy, giving you the versatility to style accordingly for smart or casual looks. For some, a suit that creases is a turn off, but you should afford it some leniency as its performance in warm climates will alleviate any discomfort caused by the heat. And eradicate any concerns of creases. As before, creases are expected and should be welcomed. Moving on, the fabric gives you the cooler option in every sense of the word. A smart and stylish choice for those wanting to stay sharp when the weather overheats. Equally at home for a summer wedding as it is on the hot and humid daily commute amongst fellow travellers. Similar to suiting, the same can be said of shirting. Whilst your suit can be 100% linen, so can a shirt. It’s therefore sensible to invest in a good quality shirt to avoid sweat-soaked armpits and backs, effortlessly. 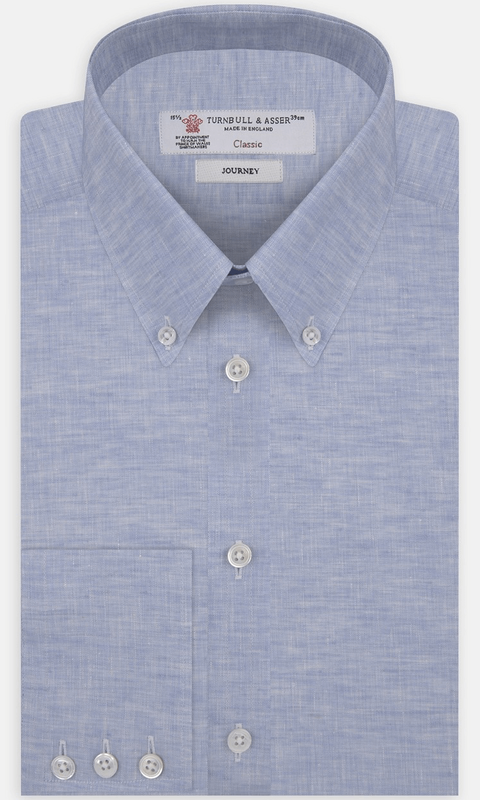 Turnbull & Asser boast some of the finest quality shirts available today, and their 100% linen versions are no different. Their luxurious natural material shirts are ideal for the warmer seasons with lightweight, airy and slightly open structures. Casual enough to dress down, smart enough to dress up. Team a suit and shirt with invisible socks and a pair of Car Shoe original driving loafers, £355 from FARFETCH. Suitable for those who like to island hop, a European city break, a Riviera retreat or even whilst on safari. Let’s be clear linen is a smart option and while light in performance, it’s relatively tough too. But it’s not beachwear. It’s smarter. Save it for wandering around cobbled streets, or dinner al fresco in the evening. Opt for dedicated beachwear instead of smarter clothing. For holiday makers, linen shorts are a must – offering a light and airy feel ensuring comfort at all times. A loose fitted shirt offers the benefit of a none-figure hugging form to keep your torso cool whilst keeping you atop of the style stakes. Orlebar Brown offer great holiday options that allow effortless style, and comfort throughout. The key here is to maximise comfort but not at the expense of sartorial elegance. You can have the best of both worlds. Wear with invisible socks and Sperry Authentic Original Burnished-Leather Boat Shoes, £85 at MR PORTER. If going all-out on a linen suit is a step too far for you, why not get a linen shirt to pair with your everyday suit. Linen shirts from Turnbull & Asser (above), Eton or 120% Lino at MATCHESFASHION for example are ideal options to complement your suit. Pairing a tailored shirt in linen will enhance your comfort and productivity. 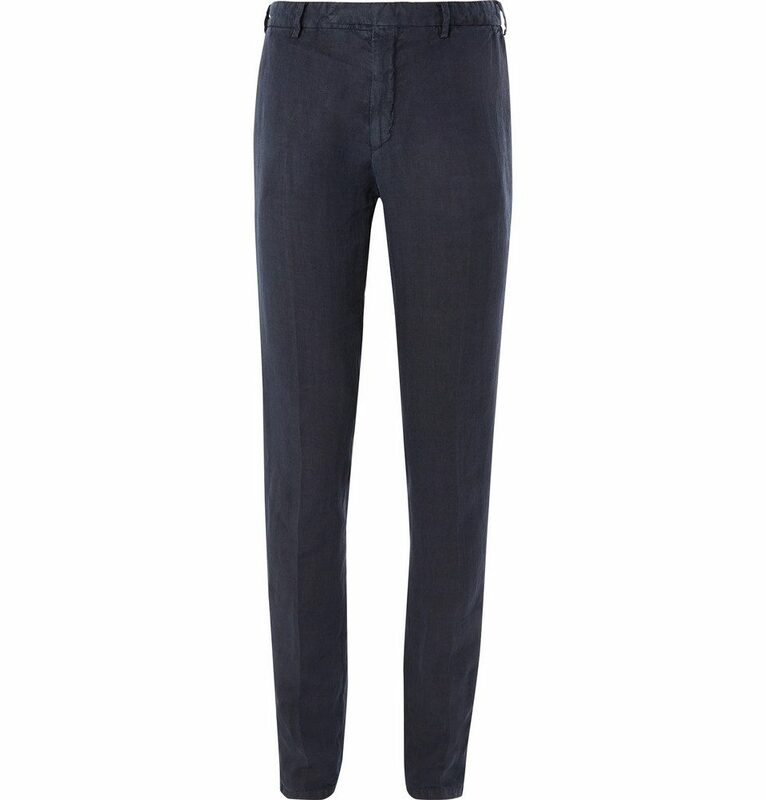 Whilst trousers equally provide the comfort and style you need in humid climates. Remove your blazer if the temperature rises. While we are on the topic of mix and match, it’s also worth noting that dressing for British summertime can be tricky to master. 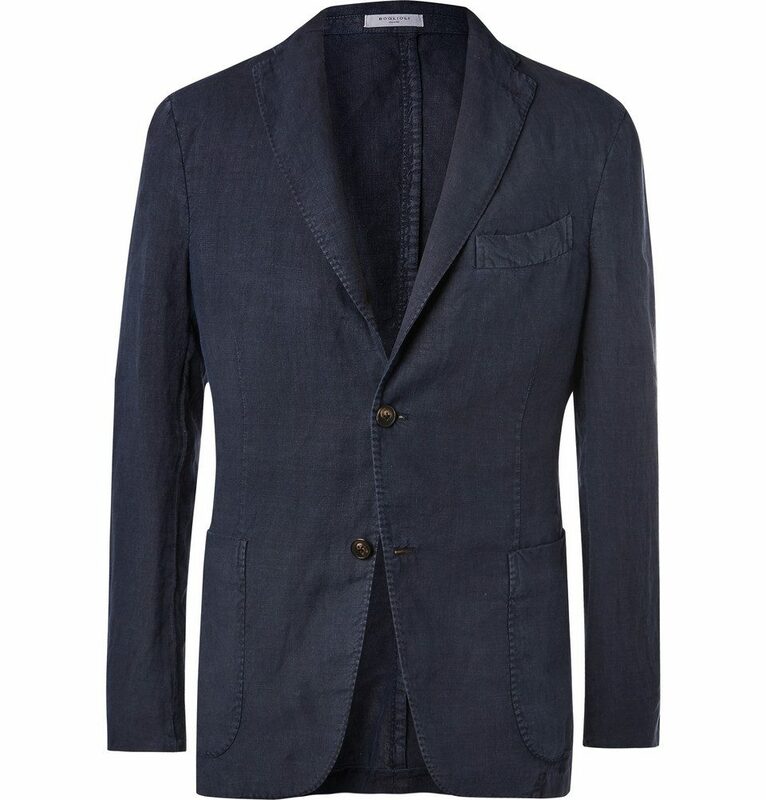 For those sun drenched days that lead to cooler evenings a light layer over a linen base is essential. 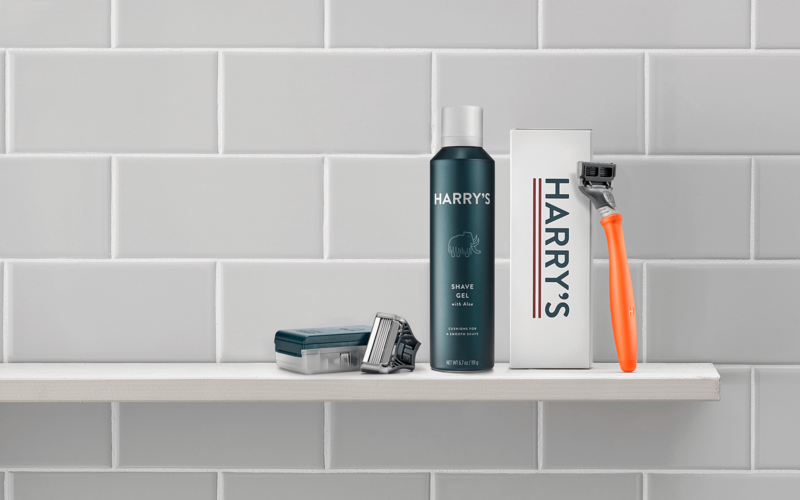 Delivering comfort and modernity to create an effortlessly cool look. Opt for a streamlined outer-layer without bulky pockets for an elegant silhouette. This way, the outer-layer can be easily removed during warmer weather to enjoy the full benefit of a linen base. And then worn when the temperature drops – the perfect solution to both scenarios. As linen is so affective at absorbing sweat, you can find more and more items of clothing blended with it giving you a wide choice of situationally-suitable apparel. 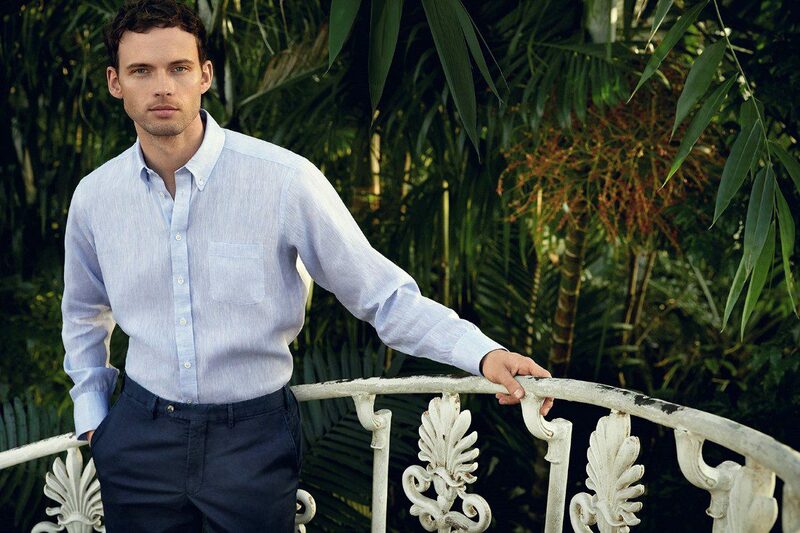 When choosing your next outfit for a warm climate, why not stretch a sartorial eye toward a linen trouser or shirt. Style casually with court shoes, deck shoes or smarten up with loafers. At the end of the day, your comfort is paramount and this perfect summer fabric will undoubtedly give you just that.